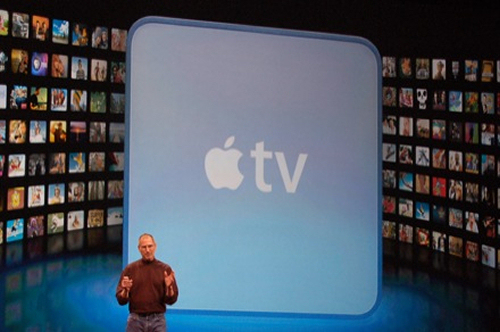 What Will the New Apple TV Have? The new Apple TV is expected to be available on the market in April or May this year and it’s sure to be a big hit. Consumers are very familiar with Apple technology with computers, iPhones and iPads being among the most popular items sold on the market today. Knowing that this company goes all out to make the most incredible and advanced devices around, consumers are curious as to what features this new TV will have. Creating a TV that stands out in this advanced technical age is a huge step for the company and it’s one that they are taking their time doing. They want to ensure they get it right the first time. Consumers don’t mind upgrading a computer or replacing their cell phone and other devices every year or so but a TV is not something that most people are willing to replace very often. Therefore, we can expect Apple’s TV to have everything it needs to keep you happy for many years to come along with some amazing features that will capture the attention of every consumer. The design of the new Apple TV will most likely be very thin and sleek, just like their other devices. Sources suggest that the largest size will top out at 42-inches with smaller sizes available. If this information is true, it will be the largest OLED based HDTV available for consumers. The OLED panels will surely make this TV stand out from all the rest, even though it is not the largest television sold on the market today. These panels are said to have the brightest and most amazing picture you’ve ever seen. The new Apple TV will be integrated with other devices that use the iOS operating system but it is unknown at this time if the TV will have its own version of this system. However, it will have the Siri style voice controls, which is thought to be better than what is used in the iPhone 4S. Apple knows that not every consumer will be ready to take advantage of the voice control option. For this reason, you can also use an iOS device as a remote. The new Apple TV will have facial recognition software. This software will include the power-saving sleep mode, which puts the TV to sleep when there is no activity in the room. This is a great energy saving feature that can be very beneficial especially if you have kids that leave the room to go play and forget to turn the set off before they go. When someone walks back into the room with the TV and the facial recognition recognizes them, it will wake up and turn back on. It will also have an iOS app that determines which person the TV will give control to when there are two people in the room recognized by the facial software. Apple is one of the leading companies when it comes to electronic devices with the iPad and iPhones being two of their best designs. With this type of track record, it’s should be safe to say that the new Apple TV will be a big seller, too. The child's version of the iPad 3 should have lockout features so kids can't delete apps and other features that are needed. Original Article has 702 words.